Are you seeking out the best green tea for health and enjoyment? You see, green tea is one of the healthiest foods on earth. In term of the quantity of antioxidants they deliver, they are second to none. Antioxidants keep free radicals at bay and perform healing at the deepest cellular level. They keep you young and energetic. The key question is: What's the best green tea to drink? #1: Go for regular green tea. Avoid processed beverage. The 2007 USDA study compares nearly 400 kinds for their flavonoid content, the chemical compound that is mainly responsible for green tea's health benefits. Two times more than a decaffeinated green tea. Three times more than a flavored green tea. Ten times more than an instant or bottled green tea! #2: Best tea bag? 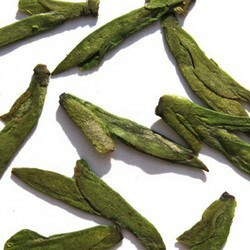 Check out Celestial Seasoning Authentic Green Tea. The 2003 study published in Nutrition And Cancer entitled Catechins Content of 18 Teas compared tea bags from various brands. Interestingly, authors Susanne Henning et all found that Celestial Seasoning came out on top in term of catechins content, to be followed by Lipton Green Tea and Uncle Lee. Another tea bag study published in the July/August 2006 issue of Men's Health revealed that Stash tea contains the highest level of catechins, five times more than Celestial Seasoning Green Tea. The data for this study appears to conflict with the previous study. In the previous study, one gram of Celestial Seasoning Authentic Green Tea was found to contain 106 milligrams of catechins. In this study, one gram of Celestial Seasonings Green Tea contains just 19 gram of catechins. Why the confusion? This is because catechins levels do vary wildly, even with products from the same brand. As you will find out later, tea bags are made from dusts and fannings. These tea particles range from 0.2 to 1.5 millimeters and can lose freshness quickly. #4: Why loose green tea is superior to tea bag. Okay, I have so far only touched on tea bags. What about loose leaf? I haven't come across any scientific studies that say loose green tea is healthier than tea bags, but I think for anyone who has tried loose tea, the difference is obvious. Green tea leaves are unoxidised. It contains life-giving nutrients such as catechins, theanine, chlorophyll and Vitamin C, as well as a small amount of essential oils. When making tea bags, whole leaves are chopped, sliced and diced into small particles ranging from 0.2 to 1.5 millimeters called Fanning and Dusts. With much higher surface to volume ratio, these particles lose freshness quickly. Tea compounds interact with moisture and oxygen, leading to rapid quality loss. Contrast this with gourmet loose tea, which is picked and made by hands with extreme care by tea artists with many years of experience. Personally I only drink loose-leaf green tea, they have greater aroma, body and aftertaste. The article below will explain why loose green tea is better than tea bags. #5: Is Dragon Well (Longjing) the best green tea? According to a 2004 study entitled Metabolite Profiling Using 1H NMR Spectroscopy for Quality Assessment of Green Tea conducted by the UK Institute of Food Research, the highest quality tea contains a chemical signature, with the main quality markers being theanine, catechins, caffeine and gallic acid. The comprehensive study examined 191 green teas, of which 168 were from China, 7 from Japan, 6 from Indonesia, 5 from India, 3 from Vietnam and 2 from Bangladesh. With only a small number of non-Chinese teas, the scientists were not able to draw any conclusion from the results. 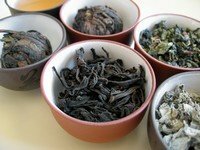 However, they were able to observe a clear difference between the Dragon Well teas and the less expensive teas. They discovered that the Dragon Well tea contains a high level of these quality markers. "The size (age) of the leaves is actually the main criterion for grading green tea, and unlike black tea, green tea quality is directly related to the grading. Teas made of the youngest leaves and the bud are the most expensive." For thousands of years in China, young tea buds are prized as the highest quality tea. These single season tea farms harvest for only eight weeks a year in spring. Tea plants are allowed to rest and recuperate for the rest of the year. Grown in high mountain in pristine environment, scientific studies have found them to contain the highest concentration of antioxidants, theanine and caffeine. They have the richest taste and are the healthiest to drink. These tiny tea buds can be infused three times. 2-3 grams can make you three cups of tea, which can be very economical. The earlier the harvest, the younger the buds, the higher the grade. Click on the article below to learn more about the study! Have a favourite tea? Do share by comments below. We live by our cups of tea. They nourish our souls and keep us warm in the winter. There is no trouble so great or grave that it cannot be diminished by a nice cup of tea. What's your favourite cup of tea? Lemon with Garlic for Clearing Heart Blockages - It Really Works for Me! Salada Green Tea Bought in the USA - Anything Better? Green Tea With Lemon And My Perfect Wake Up Tea! Is There A Bad Tea?